Great guy to work with. Couldn’t have asked for better. Plenty of initiative and very diligent.. I found William and eManipur after a long search, and speaking to many development agencies. Many charged outrageous prices for the scope of work I needed done. From the very beginning, William was helpful, direct, and prompt in doing all the modifications to my website that I wanted. For the scope of work I needed done, it was an amazing deal. I would recommend eManipur to anyone looking for good web development for a really good price. It’s the best value I have ever come across! Excellent and patient programmer. Even with a demanding client. William did a great job upgrading my old Joomla site and CiviCRM installation. 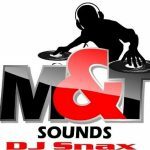 Very professional and easy to work with. I highly recommend him and his peers. I have seen the site which you have created. It’s amazing, well done, well designed , really creative. I will be asking you to update even in our recently launched site which is very much attractive like this one of yours. Keep it up. From the first conversation, William was helpful, open, polite and knowledgeable. He was able to diagnose what had gone wrong in our incomplete, messy website after we had been given the run around by another developer, and although we ended up scrapping the original site as it was in such a mess, Will was still able to provide a new, thoughtfully designed, intuitive, and highly complex site from scratch, within six months. The back story: Our company began our new website project with another Sydney based developer back in June 2011. Eighteen months later, we were no closer to a functioning site, we were still being strung along by this developer, and the project was rapidly disintegrating. It seemed that this person had misjudged his own abilities and rather than admit that the site was above his level of capability, he chose to procrastinate and draw out the project for over 18 months. Needless to say, communication eventually broke down and the project came to a standstill. As the person managing all this at the time, I was frustrated, fed-up, and unsure whether the hundreds of hours work (not to mention the large chunk of our website budget) I had put in so far could be salvaged. I was also completely at a loss about where to turn for help. Then, through a friend of a friend, we found William. His commitment to getting the best possible result for us, and his ability to make recommendations without coming across as the expert in our particular business (hose reels) was much appreciated. Will allowed us plenty of room for our own input and was unflappable even when I requested the inclusion of quite complex features. Nothing was too hard or too much trouble, and despite our different time zones we were in daily communication about the site, chatting online and not constantly losing days due to the time difference. There was absolutely no language barrier and I found Will to be highly skilled and experienced in his field. He custom coded quite a lot of features and functions and went above and beyond the call of duty in helping me get our company’s complex technical data into the site. I am very happy with the result, so much so that we have just begun our second project with Will creating a new e-commerce site for the retail arm of our business. I have learnt the hard way that good developers are hard to come by and I have no hesitation in recommending William to anyone who wants a fast, affordable, beautifully designed website. 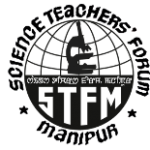 With commendable work out and necessary input of the farm “E-Manipur”, a website of the Science Teachers’ Forum, Manipur(STFM) designated as www.stfm.org.in was launched on the 27th April 2014, the day on which the Annual General Body Meeting of the Forum was held. We, the members of STFM under the presidency of Dr. H. Nandiram Sharma feel indebted to Shri G. William Sharma and Th. Niran of E-Manipur for helping expose the organisation in the international arena of information technology. Emanipur, provided great support and professional service. we asked to preform security measures to our websites and version update. very fast and effective solution that keeps our websites till this day safe and sound. will be in our team always! thank you! Thank you William Gurumayum for assisting me in getting around my Joomla Site issue, and I will definitely suggest anyone with such a problem to contact you. Your working time frame was superb and your knowledge base is 100+… Thank you so much once again. 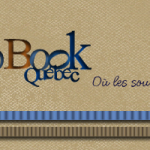 Scrapbook Quebec in Laval Quebec would like to thank you for your great work! Not only are you fast, effective and knowledgeable, but you have resolved problems that we were having over the last 6 months in no time. We truly recommend you to anyone who needs helf with the Joomla, kukena and any other components of these software. THANK YOU SO MUCH ! Copyright 2012- 2019. All Rights Reserved.